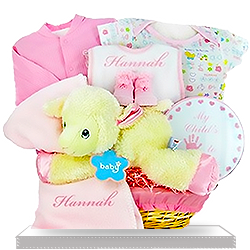 A baby girl is born - it is such a great news for the new parents, meaning that a stream of light has entered their home and will always be there, guiding them through life. 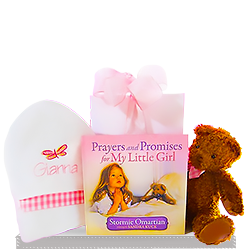 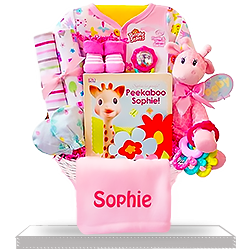 Send them joy and your best wishes with one of our cute pink gift baskets for baby girls. 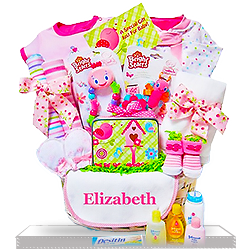 We filled them with everything a new parent needs to become a good parent. 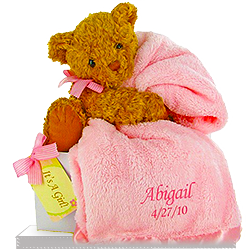 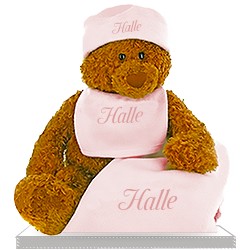 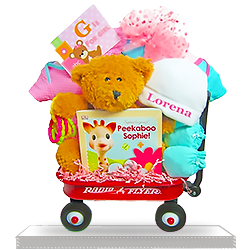 From clothes and blankets, to toys and books, the most of them could be personalized with the baby’s name. 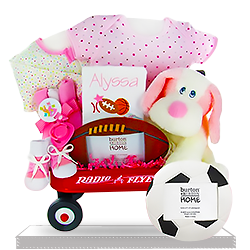 This will be a great memory to be cherished by the baby when she’s grown up. 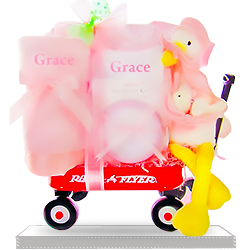 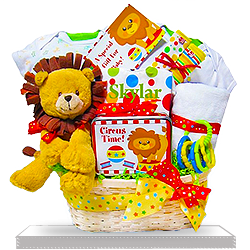 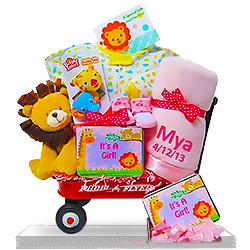 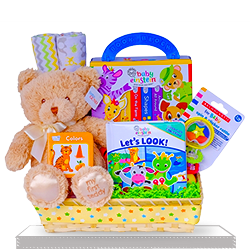 All our gift baskets are designed with much love and attention toward the new baby girls and their parents. 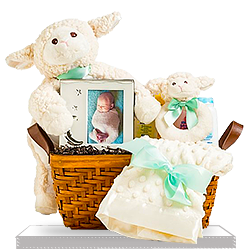 Rest assured that you will find anything you need here to start a happy life with a new family member.